Mornings are typically a hectic time in most households. The snooze button on the alarm is tempting and time seems to slip away with all jobs to do before you head off to work. Too often, thinking ahead and planning a good lunch is not part of the busy morning schedule. Lunchtime comes around and you are left heading to the local deli, bakery, café or canteen, navigating menus and trying to dodge the many tempting options on offer. Not only does this cycle take its toll on your wallet, but also makes it very hard to stay on track with your health goals. 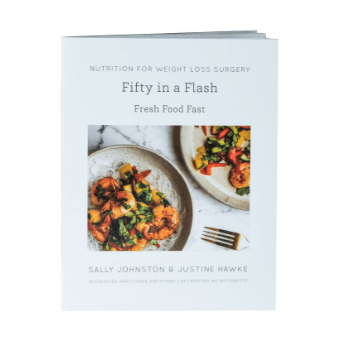 Now is the time to step out of this cycle and start planning and preparing some tasty, fresh and weight loss surgery friendly lunches. The trick is to PLAN AHEAD, so that all you have to do during the morning rush is grab your lunch and go. It is time to make taking your lunch to work the easy option. These are the key ingredients in lunches that you prepare ahead of time, leftovers and those lunches you simply grab and go. Try putting time aside on a Sunday to prepare lunch items for the week ahead. Salads, frittata, mini quiches, meatballs and patties all work well. Rice Salad: Combine prepared rice or a rice blend such as Sunrice Rice and Lentils or Rice and Quinoa, finely diced capsicum and celery, dried cranberries and mixed seeds (including sunflower and pumpkin). Dress with soy, fresh ginger, lemon and a little oil and top with a grilled chicken tenderloin. Meatballs: Prepare lean mince, chicken or turkey meatballs and bake in the oven. These can be frozen then taken for lunch with a freshly prepared salad. Crustless Quiche: Grate zucchini and carrot, dice capsicum, tomato and mushroom and place in baking dish. Pour in a tub of cottage cheese, half a cup of grated cheese and a mixture of 6 eggs with one quarter of a cup of low fat milk. Bake for 30 – 40 minutes until golden. Leftovers can make great lunches, when serving up your dinner get into the routine of dishing up an extra serve into a container ready for the next day – just watch your portion. There are lots of options you can either have on hand at work or quickly grab in the morning for days you haven’t been able to be prepared. baked beans and grated cheese. If you need snacks over the day, don’t forget to plan ahead to take these too. If you don’t have something with you, that vending machine/charity basket/staff room cake can undo all your hard work in planning a great lunch! We have lots of great recipes that you can prepare in bulk and freeze in our Single Serves recipe book. You can find out more about it here.